I'm back from Toronto and I had a fabulous time there! The drive up was scenic and less painful than one would think, the wedding was gorgeous, and the shopping was spot-on. Unfortunately, I didn't get everything that I wanted but just enough to tempt me to go back to Toronto soon. 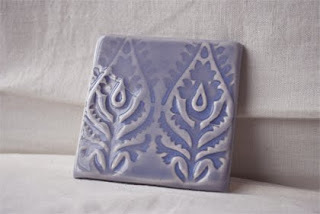 A beautifully designed tile by Sherry Richmond, available at Fawn Ceramics & Home - Their website is coming soon so join their Facebook group til then. I'm thinking of designing our future kitchen backsplash around this tile. 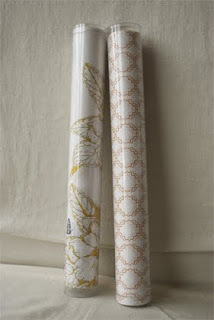 Hammocks & High Tea Rice Paper Drawer Liners purchased at Fawn Ceramics & Home. I have to credit my mom for getting me hooked on paper drawer liners. She had put them in one of the wooden dressers in my old room and it literally gave that dresser new life. Which is why I couldn't pass up obtaining these rice paper ones. The chic design and cheery color of these of course caught my eye. We came across Rea Kelly's booth during the Artisans at the Distillery outdoor show and were instantly drawn to her works. They're a mix of Klimt, Van Gogh, Matisse, and Cezanne all-in-one so of course we loved everything we saw. 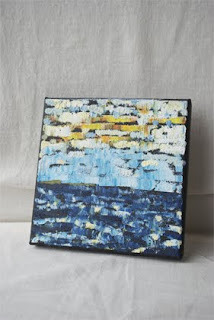 And the best part about her paintings are that they are very affordable. She offers quite a few pieces below $100 which is incredible for really good original art. 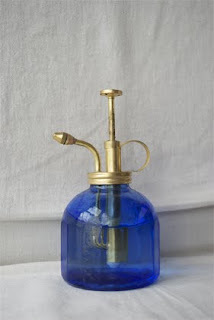 I've always wanted one of these misters but just never found one I was compelled enough to buy. It must've been my lucky day cause this one is absolutely perfect! Great for in-house plants and flower arrangements. All-in-all, Toronto was great and I want to go back very soon since we didn't spend nearly as much time as I would've liked. If you're heading up there, let me know maybe I can catch a ride with you! Love your visit to The Distillery District ! Hope we will see you again soon ! Thank you for the comment!!! Yes, I hope I will get to visit again very soon!